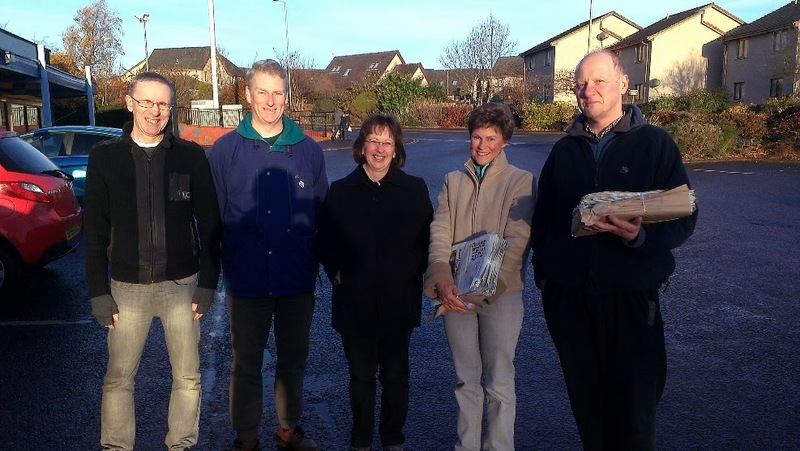 Was pleased to take part in Better Together campaigning in Broughty Ferry today with colleagues – nearly 3000 newspapers delivered and good to speak with residents on a lovely winter’s day! 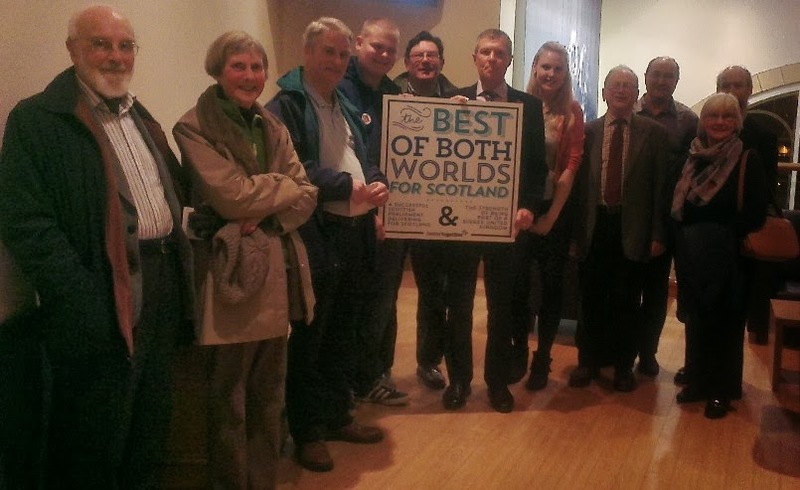 Earlier this evening, I was delighted to attend the Dundee Better Together Launch at Discovery Point. 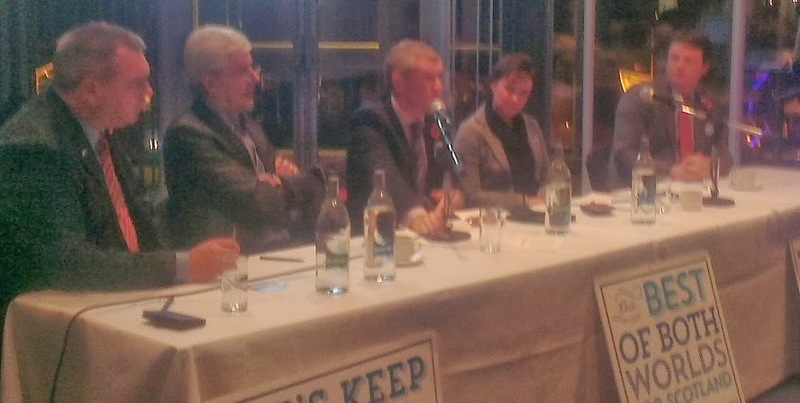 A large audience heard Professor Chris Whatley (who chaired and gave an excellent address), Willie Rennie MSP, Leader of the Scottish Liberal Democrats, Jenny Marra MSP (Labour) and Alex Johnstone MSP (Conservative) – and there was a lively Q&A session thereafter. The great enthusiasm for the positive campaign to keep Scotland as part of the United Kingdom was again evidenced tonight. This morning, I took part in Better Together campaigning in the Coldside and Maryfield Wards, along with LibDem colleagues and others in the cross-party Better Together campaign. 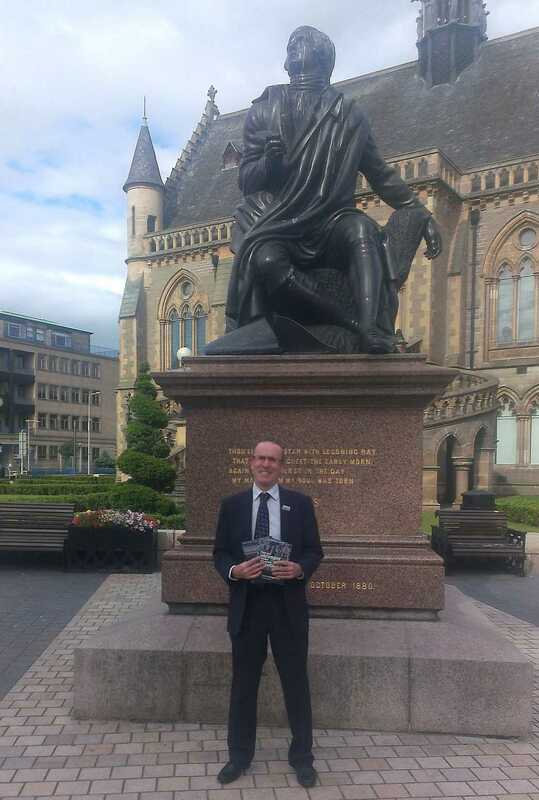 Yesterday afternoon, along with Dundee LibDem colleagues and colleagues from other parties and none, I took part in Better Together campaigning in the City Centre as part of Better Together’s sixth national campaigning weekend. We had an excellent reception from the many people we spoke with. The campaign for Scotland to stay in the United Kingdom will take its positive message on the benefits of the UK to the doorsteps this week. 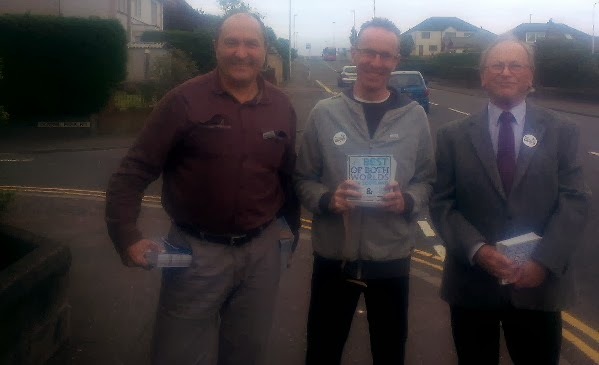 This week, 9th to 11th August, Better Together will hold its sixth National Campaign Weekend as thousands of supporters across Scotland knock on doors, deliver leaflets and speak to voters by phone. 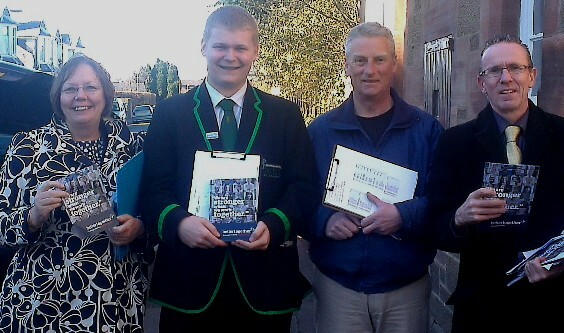 The theme of the campaigning will be the benefits to Scotland’s pensioners of remaining in the United Kingdom. West End City Councillor Fraser Macpherson will join campaigners in Dundee to make the positive case for Scotland staying in the United Kingdom. 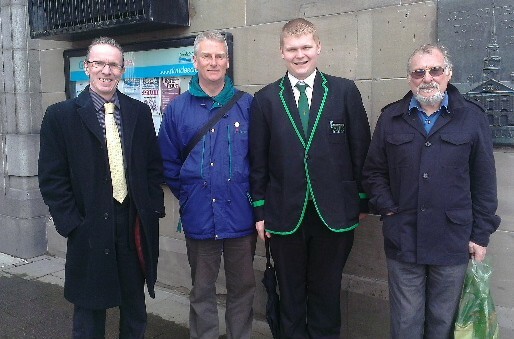 Cllr Macpherson said, “There is a clear majority in favour of Scotland staying in the UK, but there is no complacency. That is why we will be out in the local area knocking on doors and delivering leaflets to make the case for the UK. “Being part of the UK means the payment of pensions and welfare in Scotland is more secure. Most people in Dundee know that by pooling our resources throughout the whole of United Kingdom, Scotland is better prepared to meet the challenges of a population that is ageing faster than the rest of the UK and the higher pensions and welfare spending we will need in the future. “The SNP has no plan on pensions and no plan on welfare. They ignore the big problems while promising the world. They can’t tell us how pensions would be paid, how benefits would be delivered or how much their plans would cost. People in Dundee deserve honest answers about the very difficult decisions an independent Scotland would have to take on pensions and welfare. “The IFS have spelled these out for the SNP – it would mean benefit cuts, higher taxes or cuts in public spending. The question for Alex Salmond is this: which is it to be? Rob Murray, Grassroots Co-ordinator at Better Together, added, “We will be taking our strong, positive message to the door steps and town centres of Scotland. 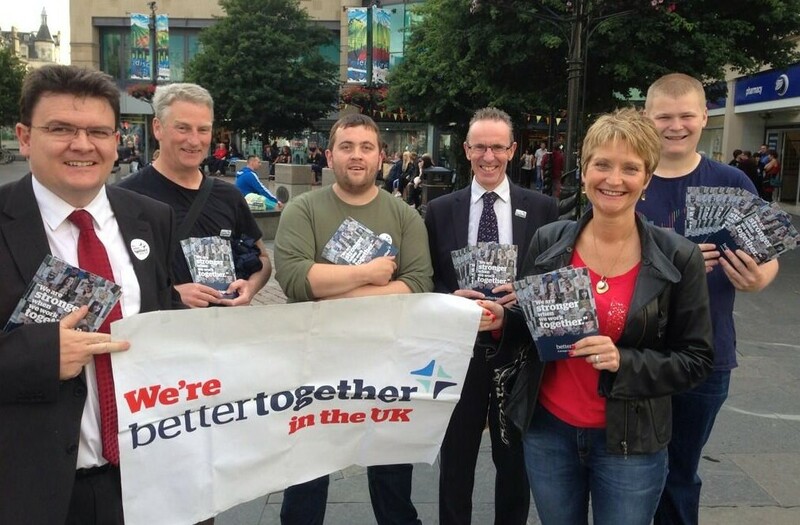 “As well as using these traditional campaign methods, Better Together is also at the cutting edge of campaigning. That is why we will be using our new Blether Together tool, which allows supporters to be put in touch with people from a similar background to make the case for Scotland remaining in the UK. Activists can help in this way from the comfort of their own living room. “Funding the benefits system in the decades ahead may prove somewhat more burdensome for an independent Scotland. It will also make undertaking major reforms of the benefits system perhaps even more difficult for Scotland than for the UK as a whole, as such reforms are either costly or create many losers. I was also delighted that Alison joined me with joint ward surgeries at Harris Academy and the Mitchell Street Centre earlier yesterday afternoon.